Unless someone proves me wrong, the quadrennial meeting of soccer — or if you prefer, football — teams from nations across the six inhabited continents is the “biggest” sporting event in the world. Maybe the biggest event of any kind. Think about it: the World Cup tournament lasts for weeks and involves 32 teams from nations as big as the USA and Brazil to little nations like Ghana and Honduras. The revenue estimates for the host nation is $11 billion, and TV viewership is massive, including here in the United States. But in light of soccer/football’s global popularity, the sport has a ways to go in the United States. Yes, thousands of passionate supporters (a lot of them a generation below us Baby Boomers) have flocked to bars, office break rooms or outdoor venues to cheer on Team USA. Grow awareness for the value of following professional soccer. Increase acceptance of professional soccer as a sport worth watching. Drive a generation of naysayers to support the sport. Scoring: Perhaps the biggest gripe about soccer is that there’s too little scoring. From what I understand, 2-1 is a high-scoring match. The PRDude proposes upping the ante. Yes, keep one goal for a “regular” goal that’s kicked by a striker. But how about 2 or even three “goals” for a header, perhaps the coolest play in soccer. And, while we’re at it, assess a team a “negative 1 goal” if they fail to put a shot on goal, say every 5 minutes. How hard could it be? The goals are 24 feet wide! Fake injuries: Players try to get away with pretending to be hurt by an opponent in every sport, soccer included. But during the times I’ve watched a match, the slightest bump with an opponent sends players withering in gut-wrenching pain. A new rule needs to be initiated to address this on-field dishonesty. My solution: Have the PA announcer bellow, “CHEEEEEEEEET-EEEEEER” (much the same way they describe a “GOOOOOOOOAL”) and require the offender to run backwards for the rest of the game. That will show these phonies. Penalties: Fouls and misconduct are taken seriously in soccer, and there’s no question players break the rules and need to pay for their mistakest. But dispense with handing out yellow and red cards, banishing a player to the penalty box or granting a penalty kick. Soccer should get tough and enforce serious and perhaps more creative penalties for certain infractions. Some suggestions: Tie an offending player’s legs together, make him play blindfolded or replace his soccer cleats with stiletto heels. These are crude, perhaps, but I trust entertaining. 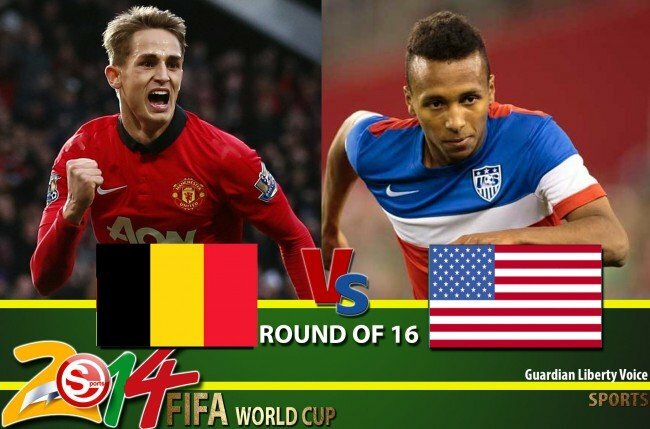 By this time tomorrow, we’ll know if Team USA advances to the next round after its match with what I understand is a crafty Belgium squad. Thousands of Chicago area fans will flood to Soldier Field to root on our soccer heroes. Not me, unless of course, they change some of the rules.